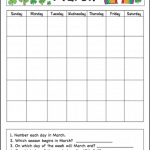 Using a monthly calendar at home is always something I’ve done, even before having kids. 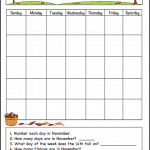 But I never realized what a great learning tool a monthly calendar can be for even the youngest of children. 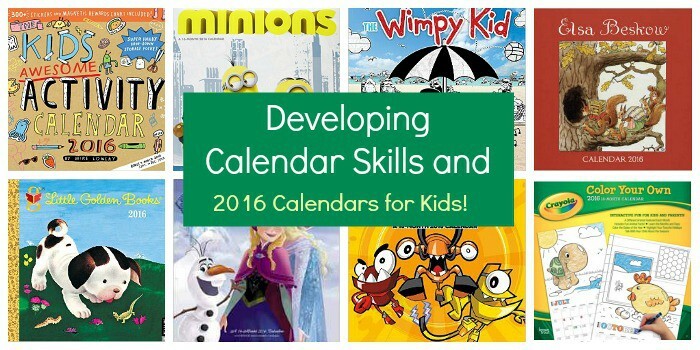 Calendars provide a great opportunity for learning all kinds of math skills, time management skills, and even help children prepare for upcoming events. 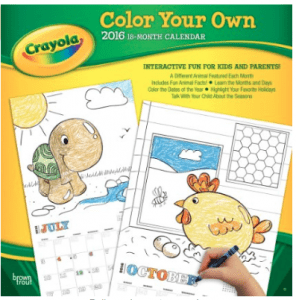 *This post was originally published on December 28, 2013 and has been updated for 2016. 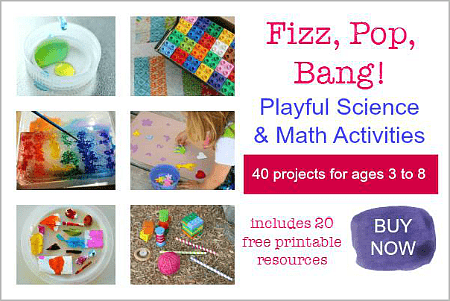 Are you following our Math for Kids Pinterest board? 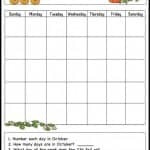 When Lucy was just barely two years old, I noticed how interested she was in watching me fill out my monthly calendar. She would ask what I was writing and often I would see her pointing to the numbers on my calendar and trying to count. 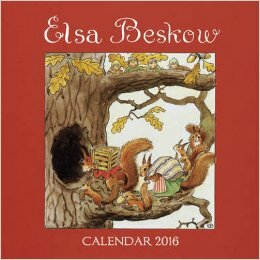 And I thought what a great opportunity it would be for Lucy to have her own calendar! Remember each child is different. Since Lucy had been interested in calendars at age 2 and loved having her own, I bought Theo one at age 2. He ended up having no interest in having his own wall calendar (except for ripping the pages- LOL). He’s much more interested this time around at age 3! Purchasing a wall calendar for Lucy at such a young age was one of the best purchases I’ve made! 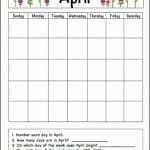 Even though she wasn’t yet reading or writing, we’d still sit together at the beginning of each month to fill out her calendar. We’d write in her weekly events like story time at the library or farmers market nights. She’d watch me writing the words (and I’d model sounding them out as I wrote). Then she’d help me decided on a picture we could draw to represent the event, like carrots for the farmers market or a little book for story time. We’d use a highlighter to outline Saturdays and Sundays so she knew which days Daddy was home from work. 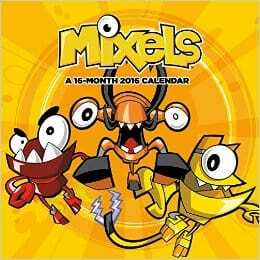 At the beginning of each week we’d look at her calendar and talk about the upcoming events. 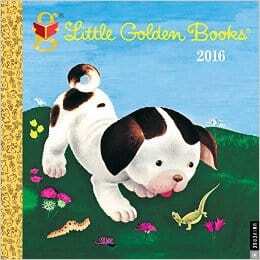 I think it can be very comforting for kids to know what to expect. They can ask you questions and mentally prepare for upcoming activities. At the end of each day, Lucy would cross out the day on the calendar with a big ‘x’. This was such great visual for her to see how the days and months went by! 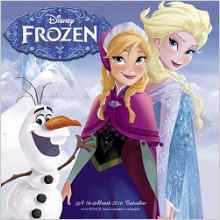 I still buy Lucy her own monthly wall calendar at the start of each year. She’s more independent with it now! 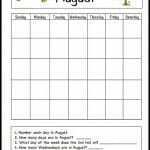 I love helping her fill in her calendar each month and providing her with the opportunity to learn how to plan and manage her days. There’s really so many options out there! 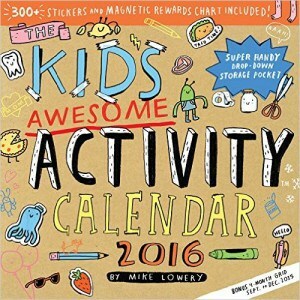 You can pretty much find a wall calendar for any interest your child has. Now don’t leave yourself out. 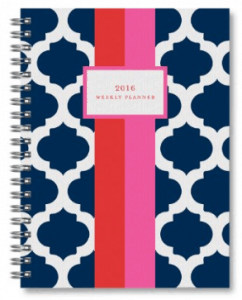 January is a great time to get yourself organized too. 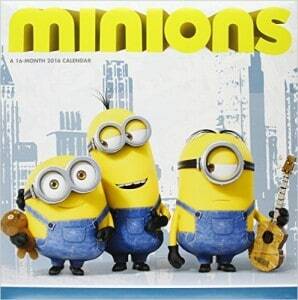 Each January I buy myself a new wall calendar. 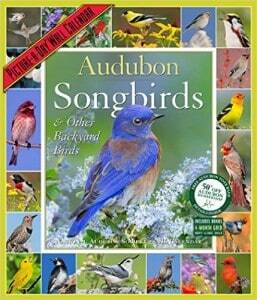 Last year I had this Audubon Songbirds & Other Backyard Birds Calendar which was just gorgeous! I’m thinking I’ll be getting it again this year. 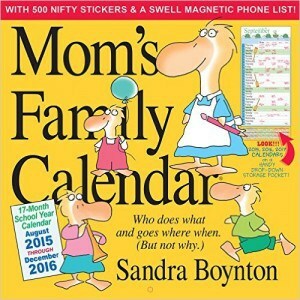 I know a lot of people also recommend Mom’s Family Calendar. You may want to check that one out too. 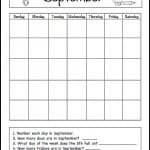 For weekly planning, I love my Sarah Pinto Weekly Calendar. It’s great for someone like me that loves clean looking pages. 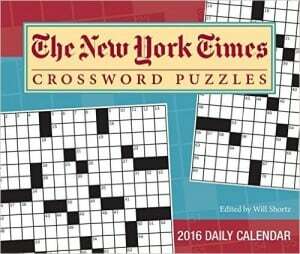 And being a crossword lover, I always get my The New York Times Crossword Puzzles 2016 Day to Day Calendar. I can only usually get through Tuesdays on my own (the days get progressively harder), but luckily the answers to each puzzle are on the back to help me along! One other thing I’d love to share with you is this Magnetic My First Learning Calendar Lucy received as a gift a few years ago. It’s been such a fun resource for her to have hanging in her room. 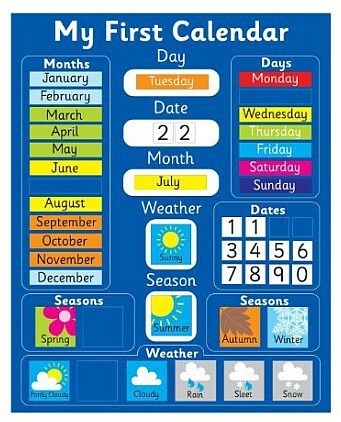 Besides using it to keep track of seasons and weather, Lucy loves using it to play school! 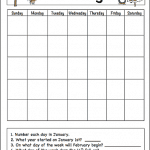 Be sure to check out are our free monthly learning calendar printables. 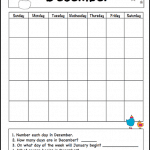 They are great for kids ready to start writing numbers and for practicing more advanced calendar skills. 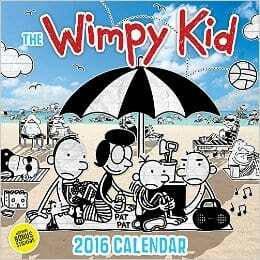 I never thought of putting a calendar in his room. It’s happening now! Thank you!